I think of painter Vincent Desiderio as a living master and one hell of a hard worker. His epic 24 foot wide canvas, Sleep, which depicts a dozen fitfully sleeping nudes in rumpled sheets, is a haunting, hard-won painting that reflects the many insomniac months that Desiderio spent laying in bed while being treated for cancer. It’s a ambitious, monumental image that you wouldn’t normally expect to see cropping up in altered form in a popular context. 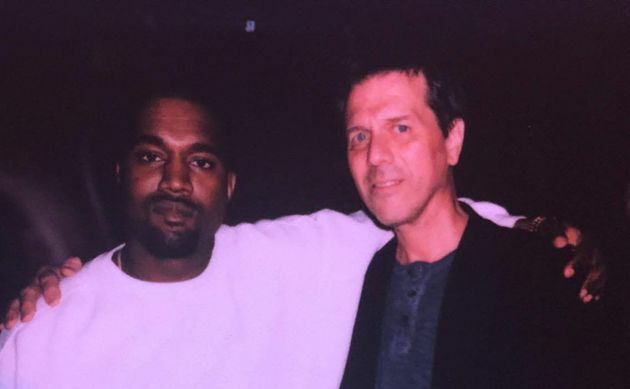 Last Saturday I looked at my Facebook and the news was everywhere: Hip-hop artist Kanye West had just premiered his new video Famous at the Forum, and it had been directly inspired by Desiderio’s Sleep. 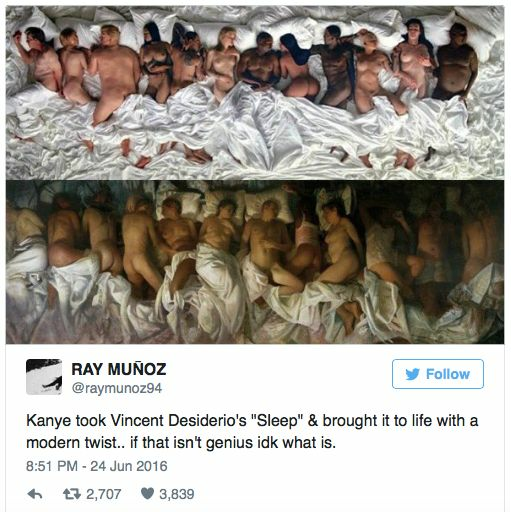 With some changes of course: the original figures in the painting had been replaced by Kanye, his wife Kim Kardashian, Ray J, Chris Brown, Rihanna, Amber Rose, Taylor Swift, Donald Trump, Anna Wintour, George Bush, Bill Cosby, and Caitlyn Jenner. In other words, Desiderio’s image and it’s very personal meanings had been recycled, re-peopled and projected on a 100 foot screen. One of Picasso’s great “thefts,” his set of some 15 variations on the Women of Algiers by Delacroix, has paid a huge rate of interest over time. The Picasso painting on the right—Picasso’s Femmes D’Algiers, Variation O—was sold in May of 2015 for $179 million, becoming the most expensive work of art ever sold. So much for the current art market having any reservations about the recycling and revising of images, right? And to be fair, when Picasso stole, he subjected what he borrowed to his brilliant powers of transformation and revision, making it in many senses, completely new. There was real effort involved and skill with paint and brushes was required. In recent times, the quoting and re-configuring of visual images has become easier and more prevalent, to say the least. Many of these images live outside the museum, easily shared and easily reproduced. 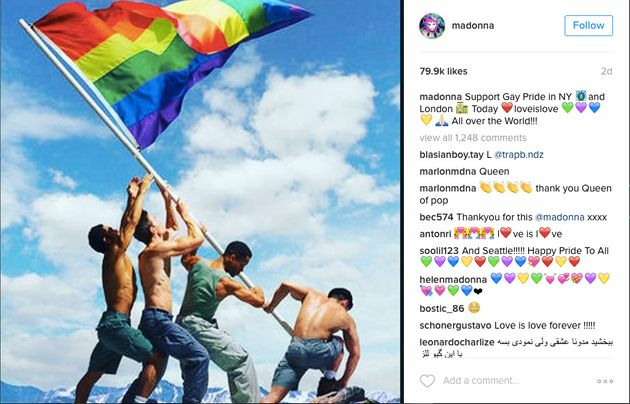 A photo recently shared by Madonna on Instagram to support Gay Pride celebrations in New York is based on an historic and instantly recognizable image: Joe Rosenthal’s photo of the flag being raised after the battle of Iwo Jima. In a media society where famous images are themselves “celebrities” their drawing power makes shifts in imagery especially noticeable. Any image that becomes famous is going to appear in all kinds of contexts and mediums, endlessly cloned and re-purposed. - What is Fair Use? Practically speaking, if you get rich using and transforming the images of others, you might be sued, but there is a fair amount of latitude. In the case of Kanye West’s Famous video, it remains to be seen where he will face lawsuits for violating what is called the “Right of Privacy or Publicity” that protects public figures from the use of their recognizable likenesses in works of art. Clearly, Vincent Desiderio is supportive of the fact that Sleep was an inspiration for the video, but Taylor Swift may not be quite so happy to see herself—or at least a 3-D image of herself—in the rumpled sheets of the imagery. I have been making digital mashups myself this past year, posting them on Instagram and even on t-shirts. 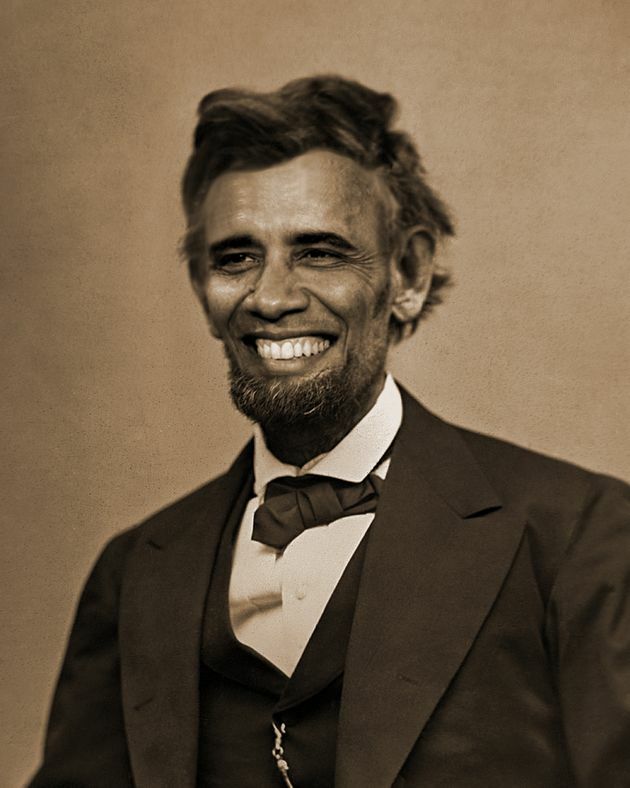 The image above combines an 1863 photo of Lincoln taken by Alexander Gardner with a recent news photo of Barack Obama. The internet is a tsunami of photoshopped images: mashups, appropriations, plagiarized images, morphs, homages and memes and my images have joined the flood. It takes the power of a celebrity like Kanye West to “boost” an image or set of images into the public discourse where it will compete for attention with everything else including the news. The English writer and cleric Charles Caleb Colton once famously said that “Imitation is the sincerest form of flattery.” In the field of visual art, where all kinds of imitation, copying and cloning is happening in every medium, the imitations aren’t always sincere, but I think Vincent Desiderio has the right attitude: be flattered, participate and be open. There are certainly powerful arguments to be made that the purposes of “art” are being diluted by the prevalence of altered digital imagery being widely shared, but I’ll save those for another discussion. If you are a visual artist today, that is part of your reality, for better and for worse.